Once, large amount of time as well as coding was required to develop a website that let the members to access the site’s varied content. But now the situation has changed. Courtesy to WPMU DEV, the Membership Plugin on WordPress is an easy task due to the availability of different membership levels and choices. •	A WordPress membership website that offers resources, support, downloads, forums, videos, downloads and more. Additionally, it also provides multiple varied membership levels along with comprehensive customizations. •	Multiple membership websites on a WordPress MultiSite / WPMU install, allowing a site user to have own membership website. You can add this feature along with Supporter to get the combination paid for, or you may also operate a number of membership websites on your own. •	A BuddyPress membership website that allows only members to view various groups and blogs. This allows members to join for free and afterwards they can upgrade to important groups and forums. •	And, also any functionality or content, including forums, through different short-codes. •	Subscriptions that get renewed every fixed number of days. As the WordPress Membership Plugin is developed as a framework, you can add more gateway support, easily by using the present gateways. 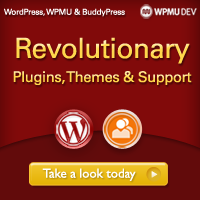 WPMU DEV members can remain assured regarding all types of upgrades and support requirements.